We are delighted to present You the cycle of the video about the console version of «The Witcher». Piotr Gnyp: Rumors about console version of «The Witcher» game took place for a long time. But there were rumors but you will get official information. Jacek Brzeziński: We have thoughts about console The Witcher long ago, because we wanted to make the game for several platforms. But it’s not so easy. But thanks to cooperation with French company Widе Screen Games, where real professionals work; we are able to port the game which has high technical requirements from PC to console. This will let to the game which is symbol of Poland to come to people who probably even don’t know about it. This will let the game to enter more deep into European culture. First of all console version will differ from PC-version a little bit in gameplay, because it will adopted to new platform. We try to make this game as interesting as it is in PC-version, but using totally different controller. That’s why controls and combat system have been changed. New animations appeared to make the view of this game more console-like, also the fable of the game has been changed a little bit, I mean the beginning of the game, because implementing new combat system and some additional mechanics issues need this. We want to make this game even better then PC one. Some new items will be added or changed, because no need to move them directly from PC. To get excellent effect from console we must make optimisation in another way. This became the reason of some changes. This game should become absolutely excellent thanks to lots of efforts we make with Widе Screen Games. 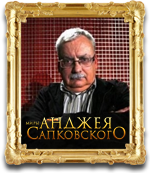 Adam Badowski: The new «The Witcher» really cool. We want to publish it in the most powerful console, specifically - on the X-box 360 and PS 3. First of all, this game is not just a port, we'll add a lot of new things. In addition, the console governed by other rules, and here it is not only about management but also of rhythm games, the gameplay, the game intensity process. So we had to make a lot of effort to adapt the game to the console. So it will not a port, it will be another game. Using the Wide Screen Games engine, we are creating an entirely new game for the console. Adam Badowski: There will be completely new system of battle in the console version: from the animation fights until the entire battlefield as a whole. We do not want to clear the fight, which is typical for RPGs on the PC, but we were forced to add more action is typical of the controller and console. Therefore, the battle system was set up anew: new animations and all that. The battle is simple: in fact, one click is called sequence animations that are linked in chains, and if we are at the right time is being introduced into the supply chain, then find new ways to attack, the more powerful blows, then there are elements of combos, they are simple, but make us special attack, which themselves may move to the next level. We've added a lot more action. Witcher can block enemy attacks, counter them, and sometimes the same clicking at the right time, the gamer can cause counter attack, which may one stroke to finish the fight with the enemy. Witcher will be able to jump and, thus, he will be able to achieve tactical superiority over the enemy. Keep all 3-style battle Witcher, but they will have a different approach and different mechanics. The game will encourage gamers to fight those methods which would be the best in this situation. We've added many new acts are not only very Geralt, but his opponents too. They will behave more advanced in fight, will try to surround the hero. Those enemies who will not be able to directly fight would incite that those who are closer to Witcher, would shout and provoke Geralt. And this is not the entire battle. There is still magic and witcher's signs. They allow us to achieve tactical superiority over the enemy. We want to make them much better. Adam Badowski: We created system tree of animations like walking, running and stopping with fluent transitions between them. We are proud our engine can show weather, different day and night time, and everything from fog to sun shine. So the full simulation of life at console. Major bonus is Dolby Surround. This means sound will become excellent and we will add lots of new sound. Everybody knows about console limitations, but we succeeded to go round them. And we did not diminish distance of visible horizon in a game. We are proud of a game goes without lags with visibility about 200 м.
Piotr Gnyp: Microsoft has X-box Live, and Sony – PlaySation Network. Are you going to support them? Adam Badowski: Yes, sure. Different assignments and additional content will be available just after game release. Piotr Gnyp: And what will it be? New adventures, new gadgets, new maps? Adam Badowski: Yes, everything like you said. I.e. the main game will be the same, and according to console we will add different bonuses to reward gamers. PS 3 version usually makes troubles to developers. But as for us everything is ok on both consoles. There are no problems. Even colors will look the same. Piotr Gnyp: If the story of Geralt will be the same as in PC-version? Adam Badowski: The story will be the same but with some changes, which I can’t tell right now. Probably I was too optimistic teling about 80 hours of gameplay, but console version will be be the same complete and integral. We want to make a game deserving ranks of RPG. Piotr Gnyp: Well, there is a gamer, who have not the game of «The Witcher», and there are three version of this game: for PC, for X-box and for PS 3. What version must he buy? Adam Badowski: I think, It all is governed by gamer's likes. If he is big RPG-gamer, It is my understanding, he will change the PC version. And in the console version gamer gets what we want at the moment, namely, the most intensive battles. There will be a new fight, a new activ, a new characters, a new graphics, better engine... Oh, what I say.... the entirely new engine with full dynamic lights, new technology with many small changes and additions. Piotr Gnyp: And if you release «The Witcher-2», will It be on all platforms or only on consoles? Adam Badowski: No, of course we have not forgotten about the gamer on the PC. I can say that the console «The Witcher» is the one of 4 projects that we are developing now. Piotr Gnyp: Well, gamer has PC version and he bought console one. What visual differences will he notice above all things? Adam Badowski: Interface, starting screen, animation, loading screens. All new: management, great deal what changed, book-marks went away and all that. All is now adjusted under a console, and all was done anew, instead of simple remaking from the PC-version to the console. Translators: Marian Yaremko, ZooL SmoK, Ksandr Warfire, Swordman. Correctors: ZooL SmoK, Ksandr Warfire.